The Tennessee River runs through downtown Chattanooga. With the Thrive Region Geo-Data online platform, an ArcGIS Hub site, IGTLab provides the data and web maps and apps that give Thrive, its partners, and the public the tools needed to analyze information on trails, waterways, wildlife corridors, endangered species, wetlands, transportation, water quality, agriculture, demographics and more. Along with the Natural Treasures Alliance, Thrive Regional Partnership—an NGO itself—facilitates a citizen-led, multifaceted planning approach that considers economic development and ecological factors for regional improvement. The goal is to create a region where human and natural systems thrive together. For geospatial expertise, Thrive turned to IGTLab, which recommended that Thrive use geodesign methodology and technology to plan projects. 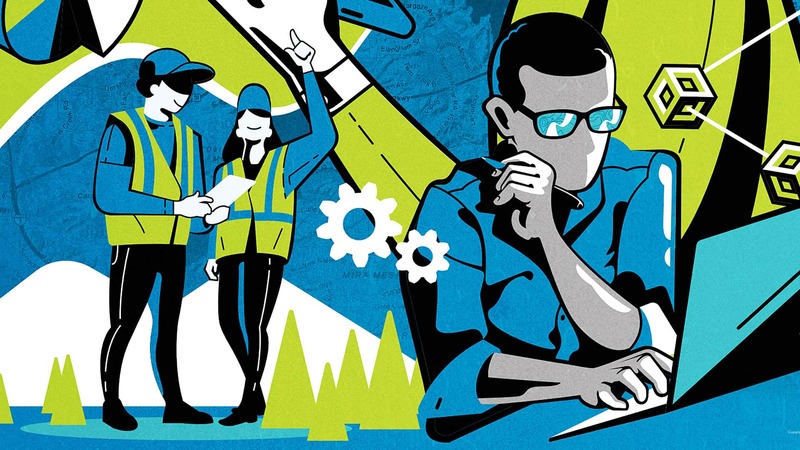 In this multidisciplinary approach, organizations that are typically siloed work together and use GIS technology to set goals, plan, and prioritize land use. The technology includes maps for exploring sustainable options, and tools for scientific spatial analysis and creative design. “Using a geodesign approach, we enlist geospatial technology through our partnership with the University of Tennessee at Chattanooga’s IGTLab to plan and monitor projects that will sustain responsible and inspired growth of the greater Chattanooga region’s green infrastructure for years and generations to come,” said Bridgett Massengill, Thrive Regional Partnership president and CEO. The Thrive Region Geo-Data site includes data on waterways, trails, endangered species, and wetlands. Over the past 15 years, IGTLab has provided geospatial services to land trust NGOs, the National Park Service (NPS), the Tennessee Valley Authority, and other agencies within the 16-county Chattanooga region and beyond. IGTLab has helped organizations conserve land, build greenways, and promote green infrastructure. Furthermore, the staff’s expertise and relationships with partners have served to expand Thrive’s model of collaborative, informed decision-making when it comes to regional growth. To implement environmental stewardship on a regional scale, IGTLab played a part in devising a strategy that would help Thrive Regional Partnership and the Natural Treasures Alliance use spatial analysis to guide project design and monitor progress toward achieving long-term environmental goals. The first step in the geodesign process was to bring people together to talk about what kind of data was required. 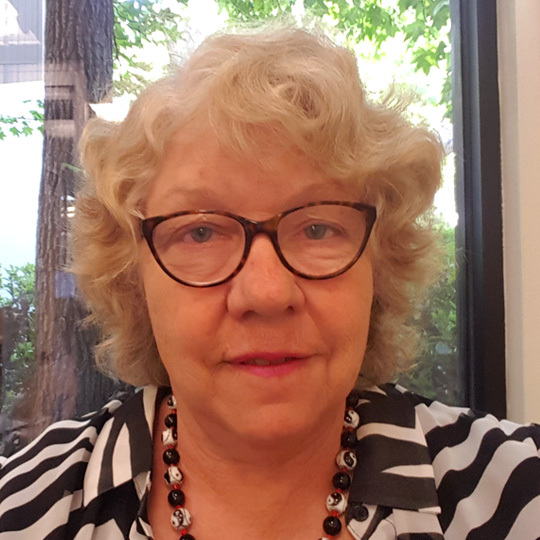 During this process, Thrive’s Natural Treasures Alliance decided it needed to know how much land in the Chattanooga region had been protected in the past and could be protected in the future. Participants at the meetings represented local grassroots organizations, large national conservation groups, and businesses interested in conservation. They discussed priorities, including the need to preserve farmland, habitat, and water quality and to promote outdoor recreation, which improves community health and contributes greatly to local economies. Participants asked for data and apps to map land use and requested models that showed water quality and flow. High on the wish list were corridor analysis tools to help design networks that preserve biodiversity. IGTLab fulfilled the requests, launching the Thrive Region Geo-Data site two and a half years ago. The site is a repository for a variety of data but also includes models of wildlife cores and corridors and ready-to-use web applications. Visitors to the site can select a dataset on mountain bike trails, for example—click to create a web map, and the trails will display. Smart mapping capabilities in ArcGIS Online can then be used to style the map—for instance, change the color of the trails or display different attributes such as trail length or difficulty. IGTLab created this model of wildlife cores and corridors , which can help researchers find areas that could possibly be conserved. 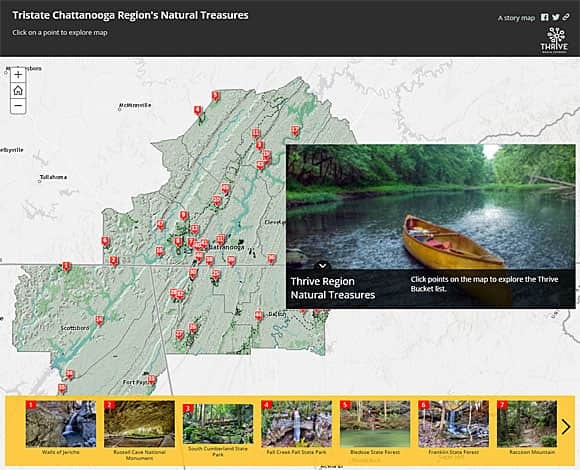 IGTLab used Esri Story Maps configurable app templates to create several story maps for the Thrive Region Geo-Data site, including one called Chattanooga Region’s Natural Treasures. People can take an online tour of 47 scenic and historic locations such as Buck’s Pocket State Park, McLemore Cove, Bledsoe State Forest, Raccoon Mountain, and the Pinhoti National Recreation Trail. Another story map on Thrive’s site, Thriving Communities, shows how arts, recreation, and cultural assets—in towns such as Fort Payne, Alabama; Dalton, Georgia; and Ducktown, Tennessee—can spur economic development. Thrive also published A Watershed Moment, a story map that illustrates how the region’s watershed influences cities, rivers and waterfalls, wildlife management, and national monuments. The story map includes an embedded Esri Story Maps Swipe app that lets users analyze and compare land-cover change over time. Other projects that IGTLab has created for Thrive include an analysis of forest loss, which was published in a story map, and an outdoor recreation map of the greater Chattanooga area. This map takes you on a tour of more than 40 must-see outdoor recreational sites in the Chattanooga region. 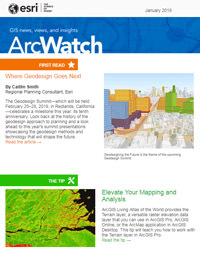 Geospatial visualization and analysis continue to play a role in the green design of the region. IGTLab used Esri green infrastructure collection of resources, available via ArcGIS Living Atlas of the World, to find conservation opportunities in the Chattanooga area. Esri created data and tools to help agencies analyze habitats such as those found in an unfragmented natural area (also known as a core). First, the IGTLab team accessed the Green Infrastructure Core national dataset to see priority habitat areas consisting of 100 acres or more. Next, the team used the Green Infrastructure Center Model for ArcGIS Desktop to customize the dataset for the Chattanooga region to display local habitat data at more than 25 acres. View the dataset. The Land Trust for Tennessee, a key partner in the Thrive Regional Partnership, works with landowners to create conservation easements. Using GeoPlanner for ArcGIS, IGTLab created an app that scores and maps an area’s parcels for conservation suitability. Datasets for this model include habitat cores, corridors, water quality, working lands and agriculture, and climate resilience. To see a parcel’s conservation suitability score, the user simply clicks on the parcel’s location. The Land Trust uses the parcel suitability app to screen potential projects. Agencies can easily access and interpret data and do their own spatial analysis to help them prioritize their projects. On a larger scale, IGTLab is helping the Cumberland Trails Conference plan connections from the Cumberland Trail to other existing trail systems and communities along the Cumberland Plateau. 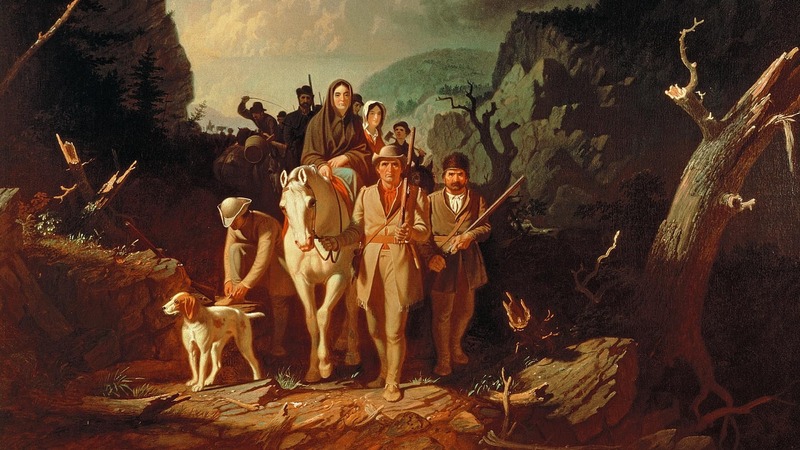 A major component of the Great Eastern Trail, the 300-mile Cumberland Trail cuts north and south across Tennessee, starting in Chattanooga and ending near the Tennessee-Kentucky border at Cumberland Gap National Historical Park. Once completed, the Great Eastern Trail will provide hikers with an alternative to the relatively crowded Appalachian Trail. 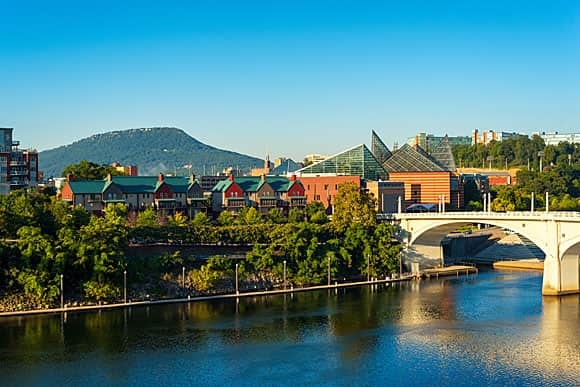 By using geodesign to support green infrastructure planning, Thrive and its partners have committed to collaborative planning approaches to sustain the natural assets of the greater Chattanooga region for generations to come. The Cumberland Trails Conference uses maps and apps to combine fragmented habitats into a network of trails and wildlife corridors.